In our blog we comment on topics that we find interesting. What to choose: fabric or leather? If you want to buy a new piece of upholstered furniture, you are faced with the choice: what kind of cover to choose? Fabric or leather? Today we highlight the advantages and disadvantages of different types of covers. Advantages of fabric covers: Fabrics usually offer a much broader range of designs. In terms of colour and decorative pattern there are no limits when choosing a fabric cover for your sofa. Disadvantages of fabric covers: Fabrics are more delicate and - compared to most leathers - they react more sensitive when they come in contact with liquids. 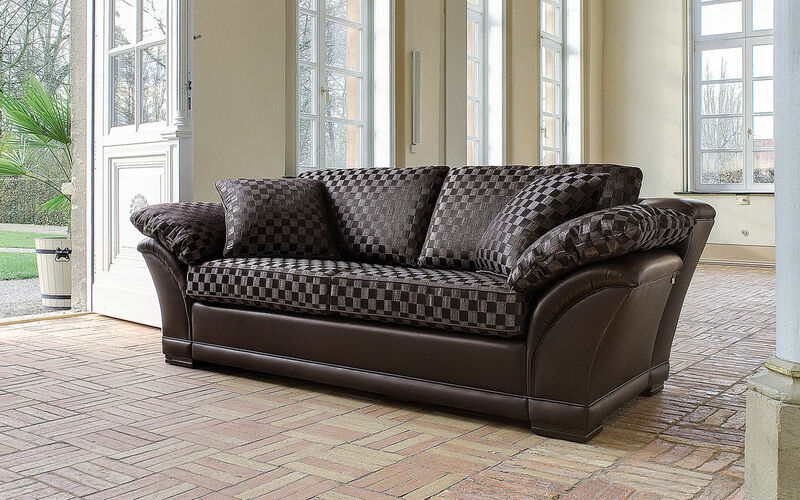 If your sofa is covered with smooth leather, wine splashes simply can be removed with a cloth. Such a mishap could make your fabric covered sofa a case for a cleaning specialist (this also applies to rough leather varieties such as nubuck leather). Advantages of leather covers: Upholstered furniture made with leather cover are less sensitive to certain impurities, e.g. when coming in contact with liquids, dust and hair. If you have small children or pets, this is certainly very much appreciated. Also smokers often prefer leather because odors do not remain in the cover or can be removed more easily. Disadvantages of leather covers: Basically, leather offers only a limited selection in terms of design, since decorations and patterns usually are not available. Leather covers also can react very sensitive when coming in contact with sharp-edged objects. In addition, some people perceive it as unpleasant when bare skin comes in contact with a (cold) leather cover. Regular care and cleaning is a must to prevent a leather cover from drying out or even becoming greasy. Before deciding on a type of leather you should always look into their specific properties because some leathers are considered to be sensitive to light and change their colour over time. The question whether to decide in favour of a piece of furniture with fabric or leather cover remains primarily a question of personal taste and is strongly influenced by your individual circumstances. Our opinion: fabric offers lot of variety, leather has some practical advantages. 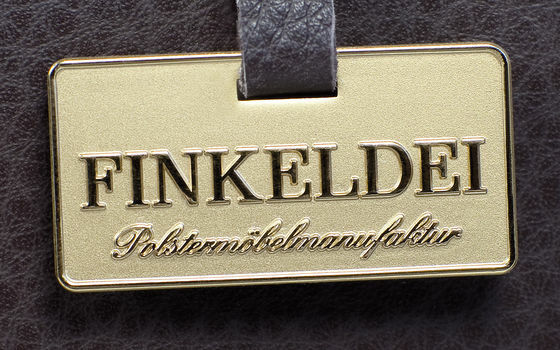 Always good to know: if you want to change the cover from leather to fabric (or vice versa) reupholsting by a specialist like Finkeldei always is an option. 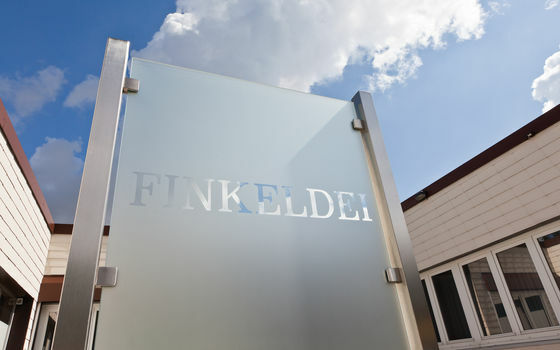 Each product from Finkeldei is also available as a custom made piece of furniture, hand-made to your individual specifications.